When you have to tighten your travel purse strings, it can be difficult to know how to save money without sacrificing quality in a new location. Luckily, Alaska and Canada are rich in natural beauty, and there’s no price tag on that. A little money can get you a long way – here are five tips for budget-friendly activities around our Westmark properties. 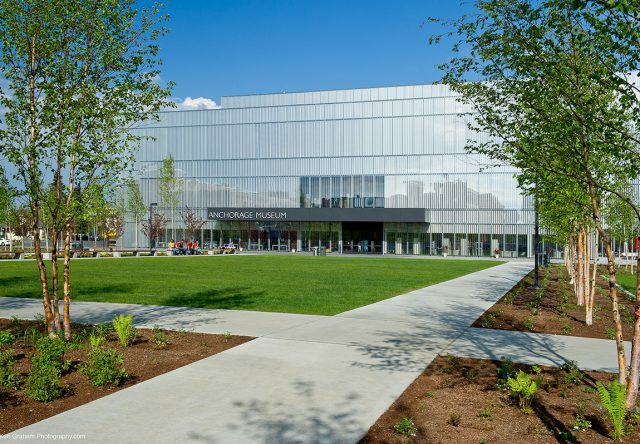 In downtown Anchorage, the Anchorage Museum is free to the public on the first Friday of every month and is just a short walk from the Westmark Anchorage Hotel. If you’re looking for something a little more outdoorsy, lace up your skates (or rent them for $12/day) and head to Westchester Lagoon in Anchorage. It’s a favorite of locals and visitors alike, and the municipality maintains the ice so you get the adventure of lake skating with an indoor glide. Bring a bag of marshmallows to roast over one of the burn barrels at the edge of the lake for a mid-skate treat. In the heart of Fairbanks, Pioneer Park gives visitors a chance to step into Alaska history with artifacts from the gold rush era. Explore a riverboat, train cars, historic log cabins and, for the young and young at heart, a carousel, a miniature golf course and more. In beautiful Skagway, a tour of the Red Onion Saloon will only leave you out $10. For that small fee, you’ll be treated to colorful stories of Alaska and gold rush history while visiting the former brothel, and you can bet the stories will be anything but stuffy. Each tour includes a Red Onion souvenir garter. While you’re visiting Dawson City, take a walk along the banks of the Yukon River. You can visit the Sternwheeler Graveyard during your stroll and see the very ships that used to transport miners and supplies before any roads were built in the area. With the help of inexpensive fun like this and the value of Westmark, rest assured you can have a wonderful Alaska and Yukon vacation without breaking the bank!